My first Illasmasqua product. I have been eyeing this up for a very long time and couldn’t bare part £28.50 but something must have suddenly changed my mind. Seeing this on blogs, I instantly knew that I wanted to use this for one purpose only, contouring. I have only used this with powdered bronzers so I cannot really comment on how this works with cream products. Due to it’s brush density and softness, it can pick up a lot of excess product. 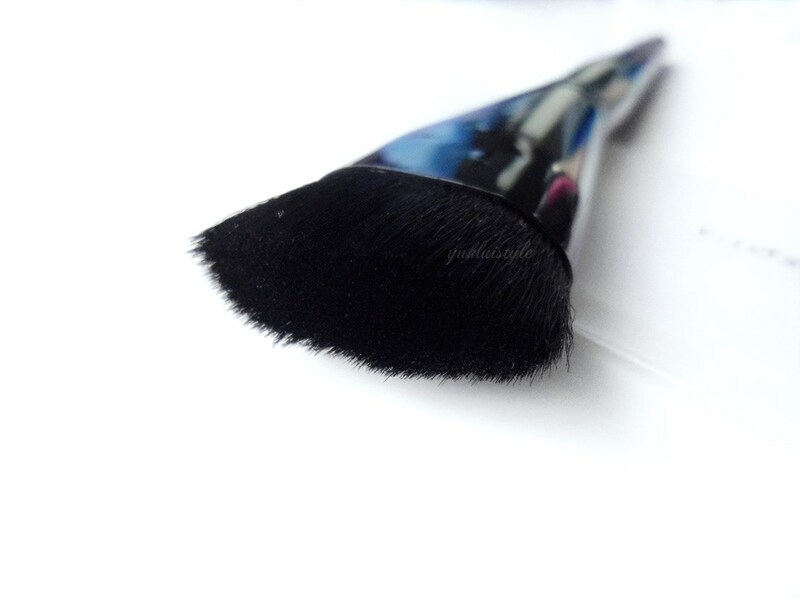 You will just need a light hand when applying any powders to the brush or just tap away the excess. On application, it will give a soft, natural look with the blending and buffing capability, given if a light hand was used. I am also able to use this brush to build up the colour more if needed. I actually find this easy to use to contour my cheeks, easier than angle brushes because of it’s short, flat, synthetic bristles giving me more control. I am able to fit this into the hollows of my cheeks easily to create a more precise, structured look as well as along the temples and the jaw with the use of swift swipes. I haven’t noticed any shedding from the first wash. I totally wish I had purchased this a while ago. It fits me perfectly as other brushes tend to be a tad big for the hollows and small face in general. Even though it’s not cheap, it’s definitely worth investing. A unique, sleek, elegant looking brush too. An instant favourite in terms of design. Have you tried any brushes like this before? Next Post Why Do We Get Spots? It's a pretty brush, although the price is pretty scary.. Right now I use the Real Techniques Expert Face Brush to contour. I was thinking about getting the NARS Ita brush but it's way too expensive… This one looks like it would do a great job as well! it is a tad expensive but if it does the job well for you, that's great! never see the brush short like that..
but i think thats more useful for contouring or shading.. 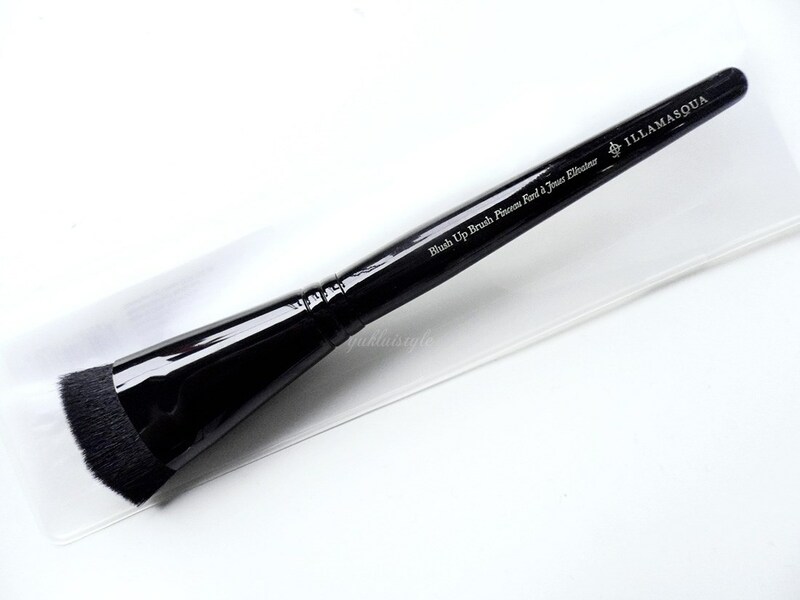 I don't contour much, but I think this would be much better and easier to use compared to a lot of other similar brushes out there, especially since it's so compact and quite narrow. Other brushes are too fluffy and wide! This brush is looking really good but very pricey. 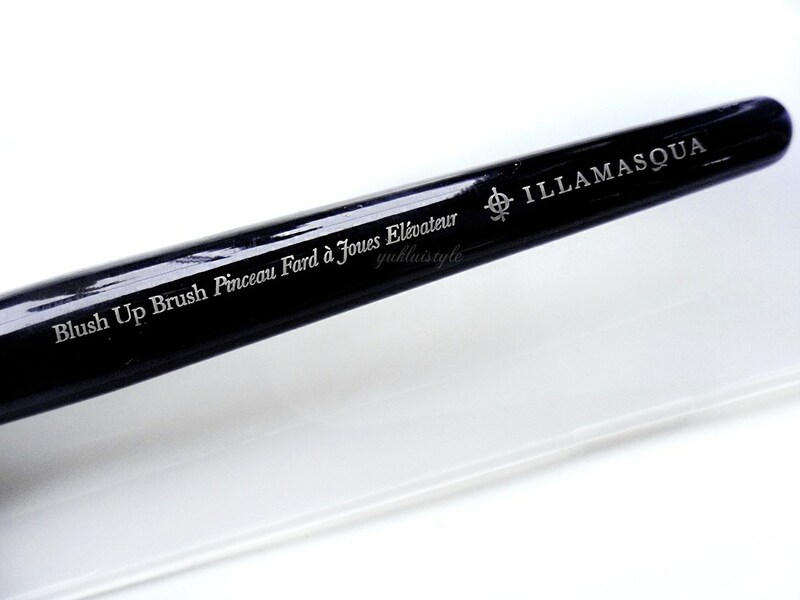 i like this brush shape too..but they are pretty expensive….sigh…. the shape of the brush looks perfect for contouring! but it's really a little pricey for a brush…. This has been on my Wishlist for ages! I think it's perfect for contouring, more so than blush application! Great review, hun! i wish to try illamasqua ! not available in my country..
Great review and glad you love it so much! I have not played around with contouring, but may need to dish out the dollas to collect this baby! I've always been a massive fan of illamasqua. I've never got round to trying their brushes though. I might have to now. I hardly apply powders to my face but I'll be looking up their brush range now. I am seeking for a whole set of makeup brush. Thanks for sharing this. Ind recommend any brand that you think it is great with reasonable price?